Alzheimer's World made it possible for me to laugh again. I received the following email from our reader Larry Greene. 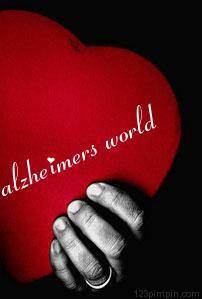 I don't mind telling you again, your concept of Alzheimer's World changed my life in caring for my sweet Barbara. We're 69 and I used to think, 'this is only going to get worse'. I began trying your Alzheimer's World technique about a year ago with immediate results. Alzheimer's World is like a second home where the more you go there, the better you know the house, the neighborhood, the town. I don't feel guilty about the time I spend in Larry's World. I no longer dread the future.